 A comprehensive survey of the worldwide conflict that defined the role of air power in modern warfare. The years leading up to WW II were marked by apocalyptic fears of poison gas dropping from the skies, a distorted image spread by Western politicians and exploited by Germany, Italy, and Japan, according to aviation historian Boyne (Air Force Eagles, 1992), a retired US Air Force colonel and former director of the Smithsonian Institution's National Air and Space Museum. Boyne covers every theater of the air war, from the lopsided struggle between the Luftwaffe and the overmatched Polish Air Force in September 1939 to the atomic destruction rained down by the US on Japan nearly six years later. 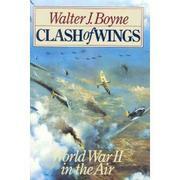 His observations on each country's use of its air force are concise and sharp. He finds, for instance, that Germany and Japan did not step up plane production in the early stage of the war, allowing the Allies time to catch up, and that the surprisingly good Italian pilots were badly served by incompetent commanders. Boyne demonstrates just how narrowly Allied victory came in the Battle of Britain, masterfully explains the critical role of air power at Midway and Guadalcanal, and sheds new light on how the Soviet air force, its top brass devastated by Stalin's purges, pulled itself together in time for the Battle of Stalingrad. One caveat: While Boyne convincingly sets out why the Allies were forced to use area bombing rather than more humane precision bombing in their 1944-45 raids on Germany, he lamely dismisses criticism of that campaign's morality--this despite the fact that Britain's Gen. Arthur ``Bomber'' Harries was nicknamed ``Butch'' (short for ``Butcher'') by his own troops for his profligate use of their lives. An often tart, consistently incisive analysis of how the Allies, through trial, error, and anguish, achieved their winged victory.